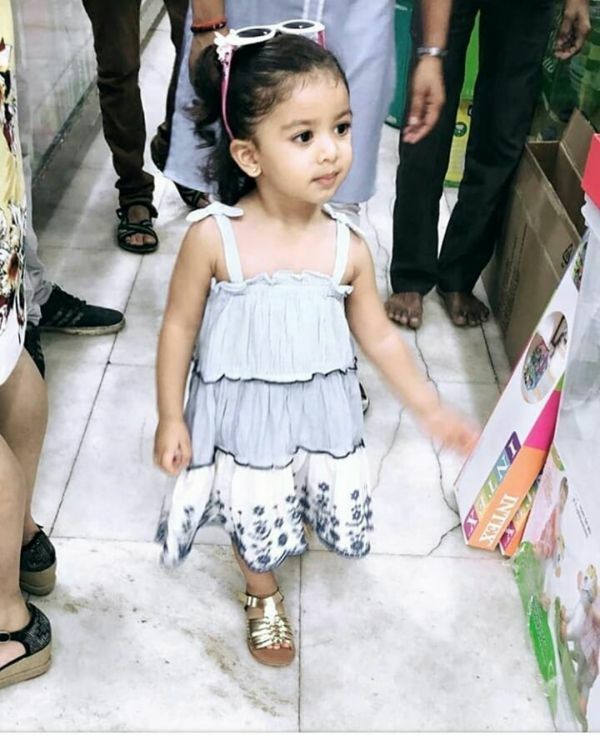 Misha Kapoor Is Picking Out Her Own Outfit At The Age Of 1 And It's Spot On! It looks like Misha Kapoor has got the style genes of Shahid Kapoor and an attitude like Mira Kapoor because she's not even 2 and already picking out her own outfit. Mira Kapoor, who's pregnant with their second baby, took to Instagram to share an adorable picture of Misha posing like a celebrity flaunting her chic little outfit and we're in awe. Not only is she wearing a customised shirt with her name on it, she has cuffed up the sleeves to a flattering length too. This solid white shirt Misha has paired with floral printed trousers and pastel pink buckled bellies with a fox embellishment on it. This the cutest outfit I've ever reviewed, and boy, I am even qualified to do this?! Moving on to Miss Kapoor's accessories, she's carrying a butterfly sling bag giving us major unicorn vibes! 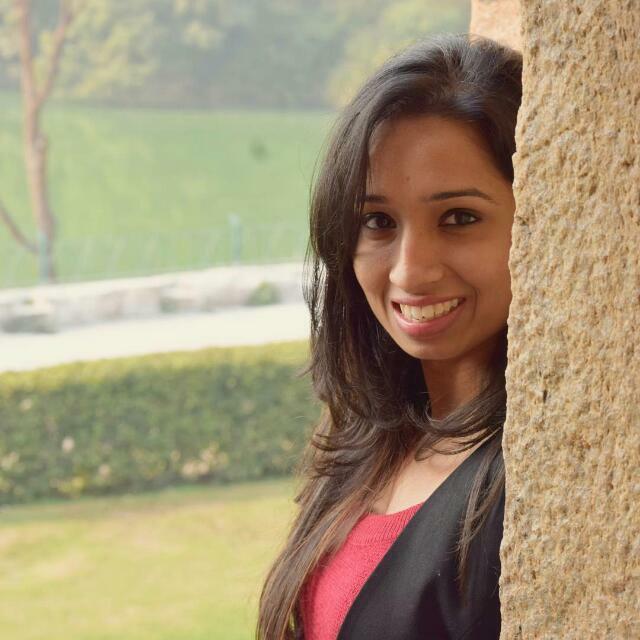 And those white and pink sunglasses look like her favourite add-on. Why, you ask? Here, we have proof. If my sunglasses were this cool with butterfly stickers on it, trust me, they would be my favourite pair too. A frilly frock and metallic flats, oh, such OOTD feels! 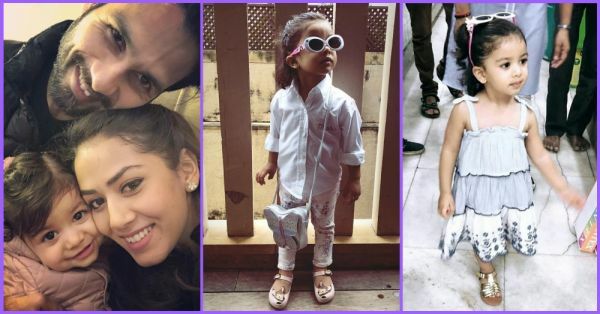 After Taimur Ali Khan and Ziva Dhoni, do you also see Misha Kapoor as a stylist in the making? Us too!